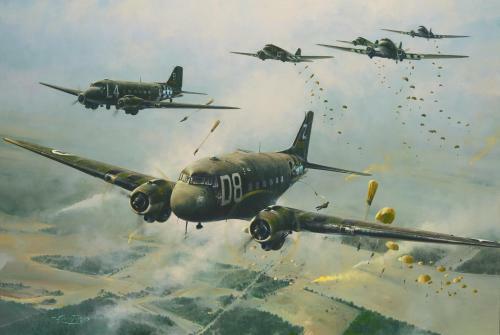 Robert Taylor's magnificent study of the legendary Hurricane captures wonderfully the spirit of that cataclysmic aerial conflict fought so long ago. 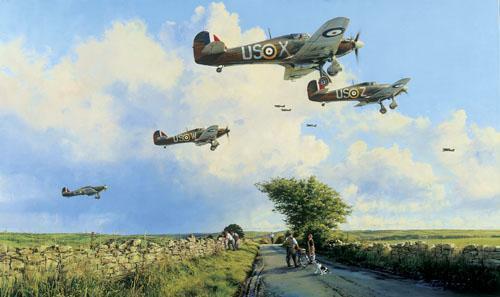 Nearest, young Pilot Officer Geoffrey Page powers his Mk I Hurricane over the country lane at the edge of the airfield. 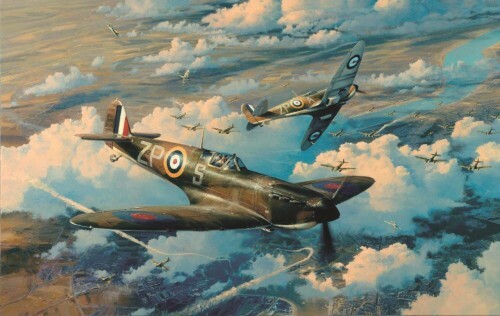 Robert Taylor’s magnificent study of the legendary Hurricane captures wonderfully the spirit of that cataclysmic aerial conflict fought so long ago. 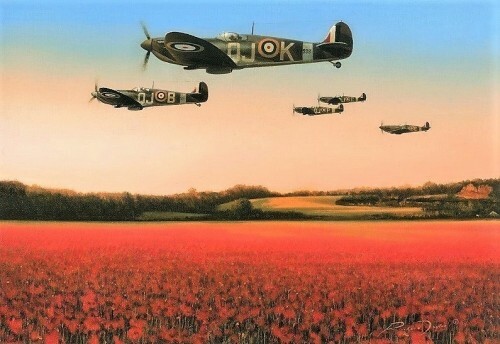 Nearest, young Pilot Officer Geoffrey Page, later to become one of the RAF’s most highly decorated fighter Aces, powers his Mk I Hurricane over the country lane at the edge of the airfield, as he and his fellow No 56 Squadron pilots make their third scramble of the day.